Brilliant. Efficient, great Pilot and flight. Highly recommend. The twin glaciers of the West Coast in New Zealand, Fox Glacier and Franz Josef Glacier, are both some of the most incredible natural sights and resources in the coast. You'll be viewing both of them on a scenic helicopter flight lasting for 30 minutes. 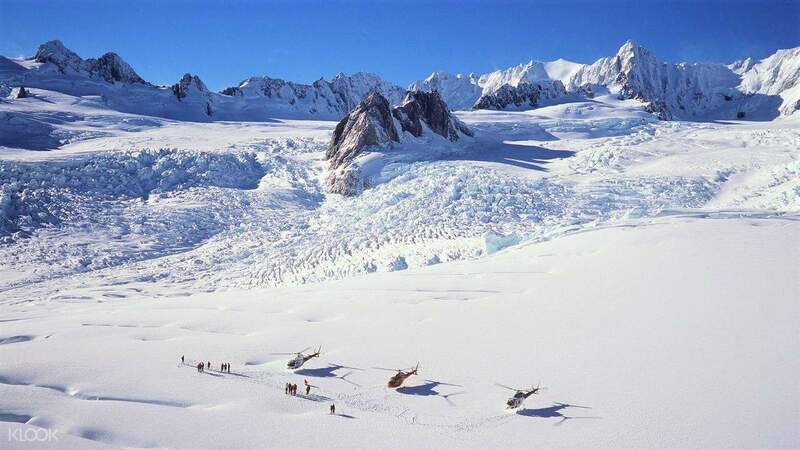 Fox Glacier is less inclined than Franz Glacier, and you'll see it's sprawling ice arches, ice trekking trails, and even the beautiful alpine wild lands around it in Chancellor Dome. Franz Josef Glacier is a rugged beauty, of steeper incline, and with regions largely inaccessible from the world save for air drop ins. 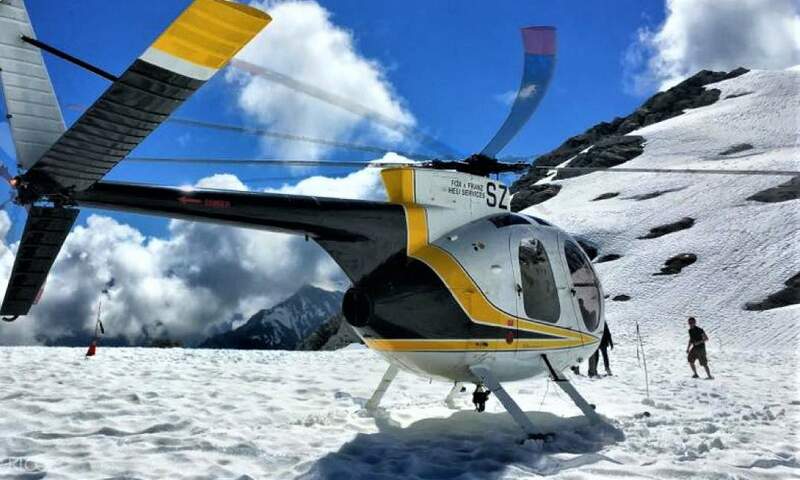 After admiring the bird's eye views from above, you'll set down on one of the glaciers to enjoy their beauty from ground level. Feel the snow and enjoy the frigid temperatures under the sun. Don't forget to take plenty of photos of these two marvelous glaciers before heading back! 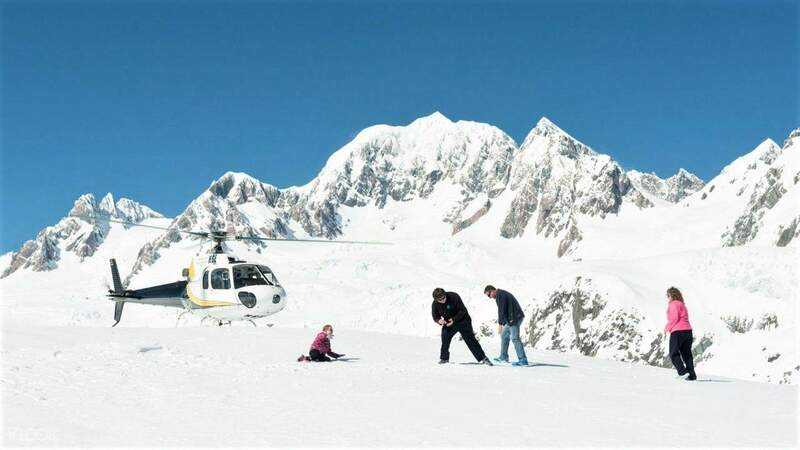 Touch down on one of the glaciers to play in the snow and the pure alpine air! Occasionally the temperatures can be 5-10 degrees cooler on the snow than it is in the village. Check with our ground crew if you are unsure of what to wear. Please be advised that you will be landing on both glaciers, so bundle up! Wonderful experience for family travelling with kids. The duration for photo taking time would never be enough for anyone. Kids love it! Wonderful experience for family travelling with kids. The duration for photo taking time would never be enough for anyone. Kids love it! Great experience with experienced pilots. We landed on the glacier for a few minutes to take photos. It was a beautiful view from the helicopter. Great experience with experienced pilots. We landed on the glacier for a few minutes to take photos. It was a beautiful view from the helicopter. Brilliant. Efficient, great Pilot and flight. Highly recommend. Brilliant. Efficient, great Pilot and flight. Highly recommend. It was very professionally done. The operator is prompt in response when connecting first. The rate is good and absolutely hassle free.. It was very professionally done. The operator is prompt in response when connecting first. The rate is good and absolutely hassle free..
too short for the landing but amazing experience!! too short for the landing but amazing experience! !